This is an Inter - City Cultural Communications web site program between the cities of Kinshasa, Democratic Republic of Congo, and Ithaca, New York. More important, it is likewise being used a promotion site for future investments to bring Kinshasa faster into community of those nations who are economically gowing. 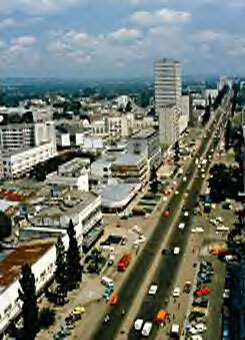 Kinshasa ties with Johannesburg for the status of the second largest city in sub-Saharan Africa and the third largest in the whole continent after Lagos and Cairo, and it is the second largest francophone city in the world after Paris, although Montreal, Canada is still considered more "important" as a hub of the French language. If current demographic trends continue, Kinshasa will surpass Paris as the largest francophone city in the world by the end of the 2010s. However, it is to be noted that local African languages especially the Lingala are by far more spoken in the city than the French language. Kinshasa Night Life ( NightLife ), RMC video.